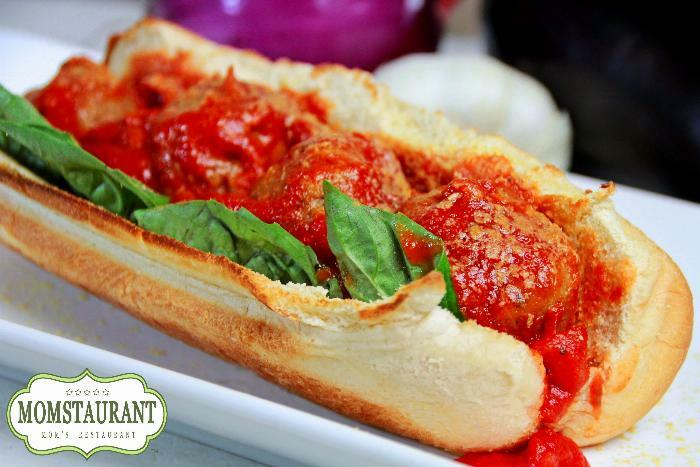 Here is my take on the classic Subway meatball sub sandwich... but vegan style. What I like about this recipe is that the eggplant "meat"balls are nice and hearty and definitely give you the feeling of eating meatballs.. pretty neat huh?! 2Slice eggplant in half, and place on baking sheet face down. 3Broil eggplants for 5 minutes. 4Remove eggplants, flip face up, and let them cool for 2 minutes before handling. 5Change oven settings to 375 degrees. 6In a large mixing bowl add minced eggplant, red onions, listed seasonings, Nutritional Yeast, vegan cream cheese, and bread crumbs. Mix well. 7Place in the oven and bake for 30 minutes. 9Once the Neat'balls are done, remove and set aside for assembling. When it's time to serve I like dip my Neat'balls into my pasta sauce and pour then into a toasted hoagie rolls, with a few fresh basil leave and a sprinkle of Nutritional Yeast (the Parmesan cheese for vegans). As always give this recipe a try and let me know how you like it!